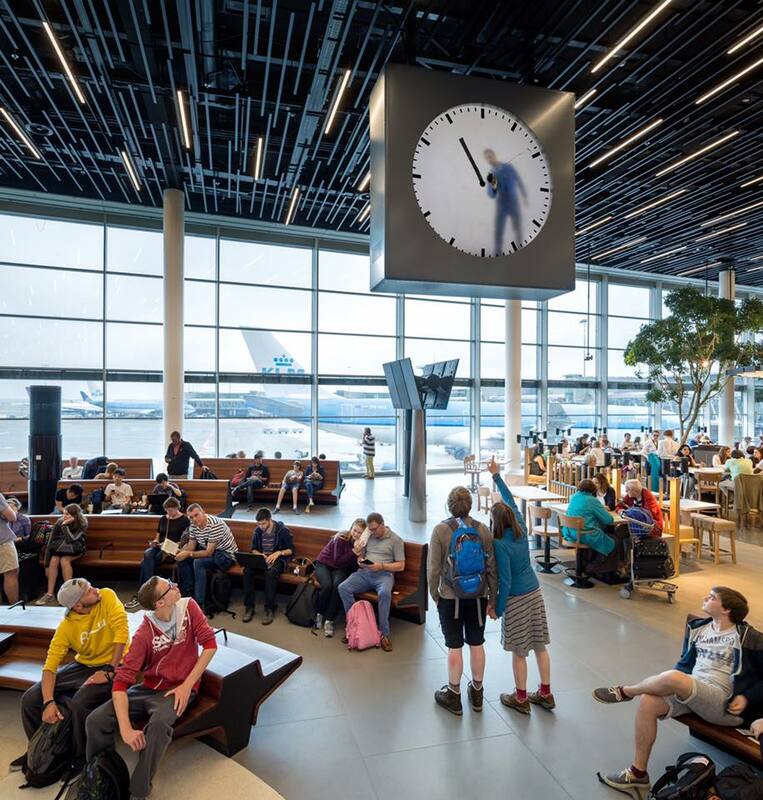 It’s the latest addition to Maarten Baas’ Real Times series: a gigantic clock in the Lounge 2 at Schiphol Airport. 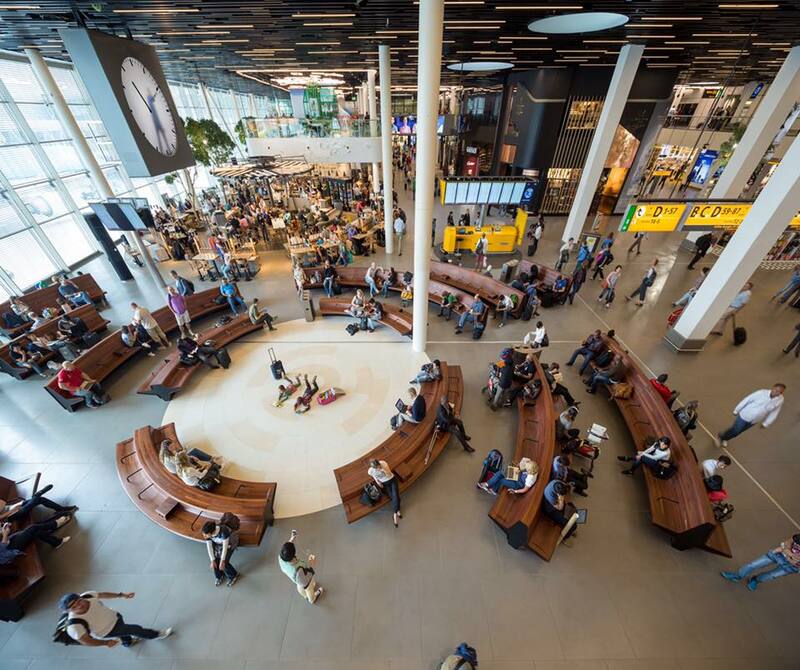 Every year 15 million people from all around the world travel through Lounge 2. His Real Time clocks show a video performance which takes exactly twelve hours to film and twelve hours to watch it in its entirety, thus creating a hyper-realistic representation of time. 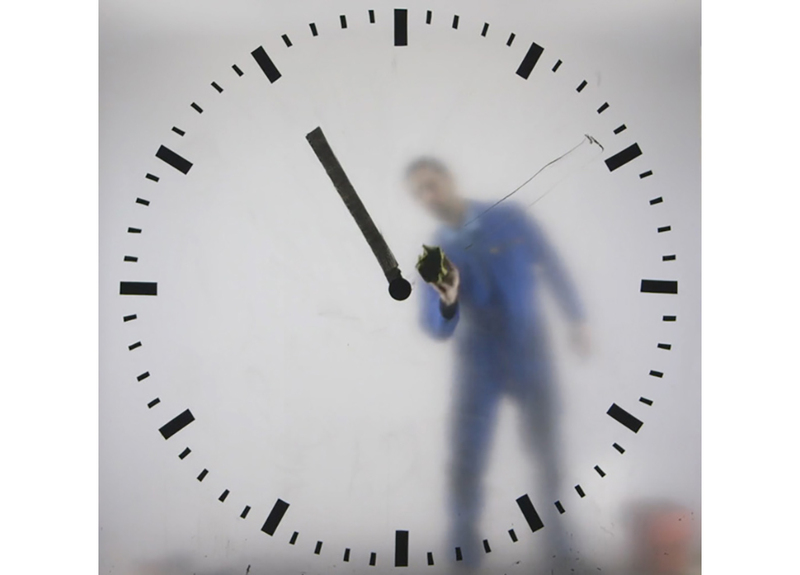 Baas launched the first Real Time clock in 2009. Maarten Baas: “For this work I decided on the most archetypical form of a clock, but it has a ladder going up to it and a little door that you wouldn’t even notice at first glance.” The ladder and the door are there to enable a man in blue overalls to enter the clock. “He has a red bucket and a yellow cleaning cloth and he is cleaning up after the hands of time, after which he creates a new minute, every time again.” The red, yellow and blue are an homage to two of the most definable Dutch artists of the previous century, Piet Mondriaan and Gerrit Rietveld.